Suzanne and Garrett were married in an intimate ceremony at the Heritage Village Museum Chapel in early May. I was excited about creating Suzanne’s flowers the moment I read her first email. I saw the words ‘organic’, ‘art nouveau’ and ‘ferns’ and I knew that Suzanne was my kind of bride. 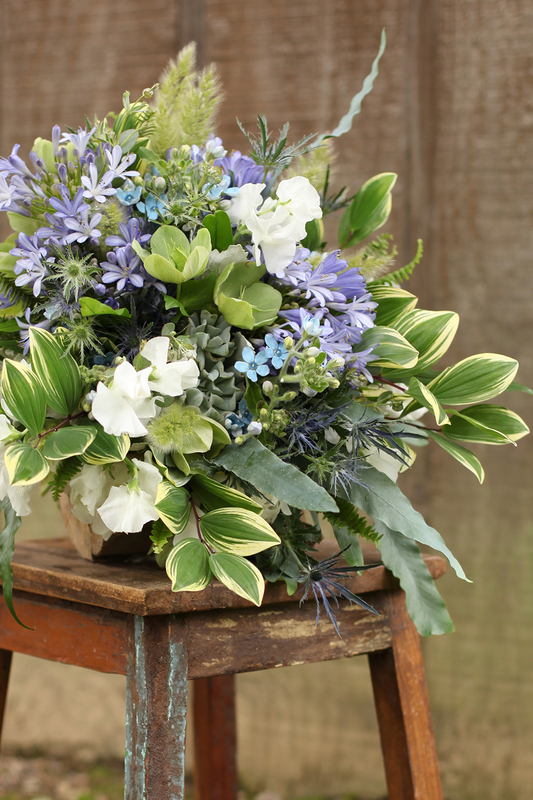 She carried an asymmetric bouquet agapanthus, tweedia, sweet peas, hellebores, bunny grass, variegated Solomon’s seal and ferns. 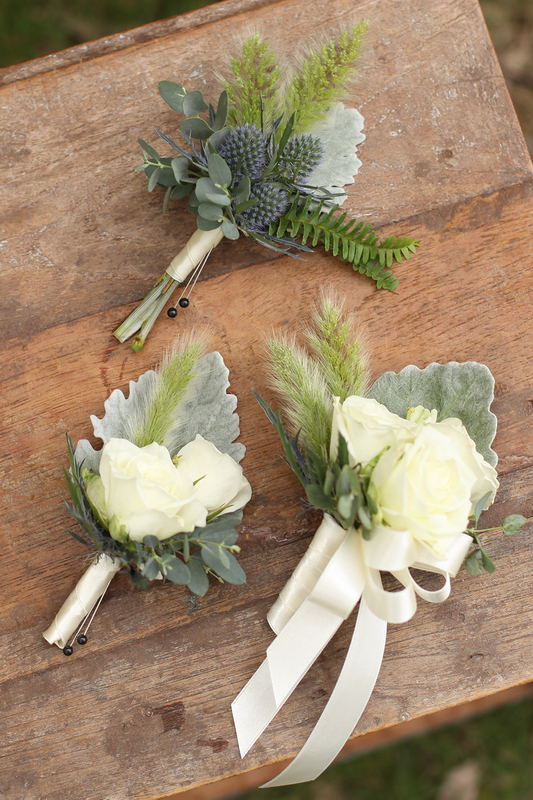 The bridesmaids carried bouquets of ferns, roses and sweet pea. Gatherings of bunny grass, foliage and spray roses made sweet boutonnieres and corsages. The reception took place at Lakeside Lodge in Sharon Woods. I can’t wait to see the professional pictures from the super talented Sonja Lyon. Congratulations to Suzanne and Garrett!